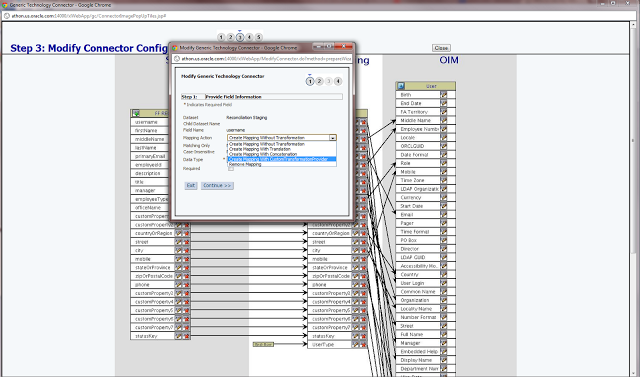 GTC based connector is one of the most used approaches for reconciling data into OIM. 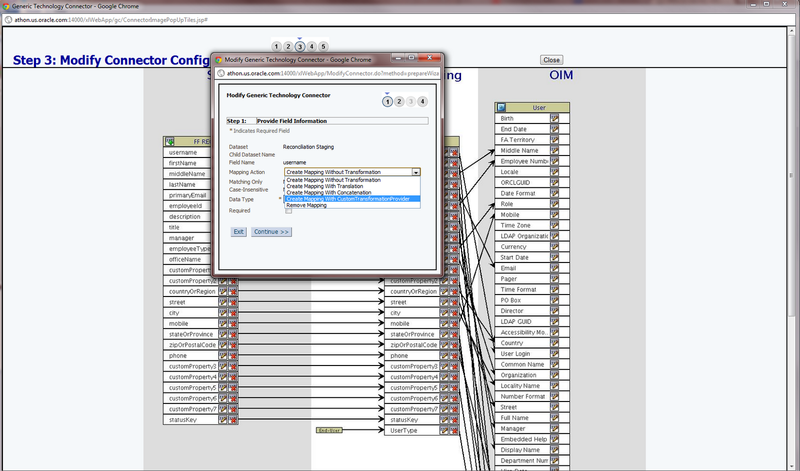 Very often, there is a need to manipulate the data to be reconciled in OIM through the GTC connector. When that is true, most of customers end up creating event handlers to manipulate reconciled data. The problem with this approach is that in OIM 11g, only 'post process' event handlers can be used to manipulate reconciliation data (and the data can only be manipulated after reconciled into OIM), and this can make some manipulations really tricky and/or cumbersome. OIM GTC framework provides a very good feature called 'Transformation Provider'. A 'Transformation Provider' is invoked by GTC at reconciliation data load time, before GTC creates the reconciliation event. Transformation providers are invoked per attribute, and different providers can be used for different attributes. They are all configured during the GTC reconciliation mapping stage. This post shows an example of a custom transformation provider as well as how to deploy it. data loaded from the flat file: the attribute value loaded from the file is "attrValue" and it will be transformed to attrValue. As you may be aware, GTC is not capable of doing that character trimming in the out-of-the-box configuration. The transformation provider consists of a XML descriptor, a jar file containing the compiled code and a resource bundle file containing the errors messages. The XML file must be loaded into the MDS database, whereas the jar file must be uploaded to OIM. The class must be deployed within a jar file. The jar file must be loaded with '$OIM_HOME/server/bin/UploadJars.sh<bat>' as a 'JavaTask'`. GC.GCPROV.TransformationProvider.CustomTransformationProvider.REMQUOTES_INPUTSTR_MISSING.description=The input string is missing. Make sure that the resource bundle is named after the transformation provider: CustomTransformationProvider.properties in this case. At least one translation must be loaded (like CustomTransformationProvider_en.properties). Once you have the three pieces (XML, jar file and resources) deployed to OIM, you should be able to see the transformation provider available to be used in the GTC attribute mapping screen (as shown in the picture in this post).